Three warriors asked the sun to grant them wishes of immortality to protect their people forever. One was turned into a merman, another was turned into a tree, and final warrior was turned into a stone. Juniper Sawfeather has learned there is truth to this American Indian legend. She knows how it connects the mermaids she saved from an oil spill and the ancient spirit that trapped her in the branches of an Old Growth tree. Now she wants to find out if the final part of this legend is true: that some kind of magical stone exists. A lone mermaid finds her and shares a vision of a cliff along the ocean shore. This must be the place, and June knows she needs to find it. I don’t think I could be Juniper Sawfeather’s mother. 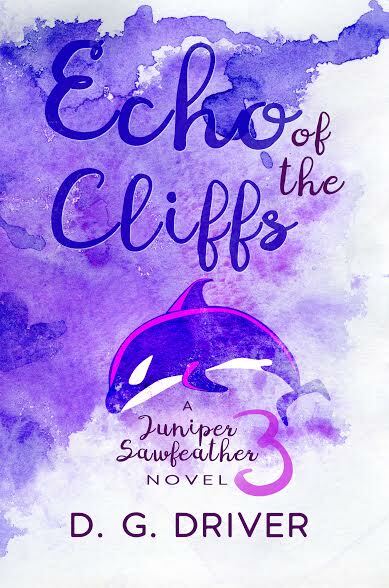 Juniper continually finds herself in life-threatening, precarious situations – and yet she has these wondrous, magical experiences that go along with them. Not sure if my heart could take the life-threatening aspects. This book is no different – I gasped more than once at unexpected events while reading. With its environmental focus, the inclusion of American-Indian mythology, and a young protagonist who knows her own mind and doesn’t bow to the whims of high school drama, the Juniper Sawfeather collection defined itself as an intelligent YA series from page one of the first book, Cry of the Sea. 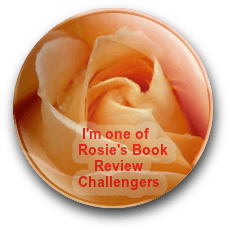 The lovable supporting characters are still here – Carter, the supportive boyfriend and Haley, the encouraging best friend, as well as those you love to hate – narcissistic Regina. Juniper’s parents are still somewhat controlling, but in comparison to the first book, I liked seeing the turbulent relationship between Juniper and her parents mature to the point that they’ve begun to trust her decisions and consider her opinions. By the end of this book, Juniper forms a logical plan to carve a path for her future, leaving the door cracked for a possible return to this character at a later time – I’m hoping! I’m sad to see this series wrap up, but very pleased with the way the author ended it in that she stayed true to her characters and the story line. I’d highly recommend this refreshing, smart YA fantasy series. I received a digital copy of this book from the author. I actually didn’t read this post (I know…awful) but I didn’t want spoilers. Just being safe. 😉 I’m “liking” it anyway because I hopped over to your Cry of the Sea post and am going to read this from book #1. Thanks for sharing, Teri! Don’t blame you – but just for reference, I never give spoilers. Hate it when others do. What a concept. Very cool. Thanks for the review Teri. Hugs. All three books had some very imaginative concepts. Hugs, Teagan! 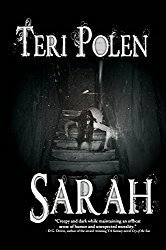 An excellent review of this book, Teri.